Well, if you’re reading this blog, then you may be considering selling your home, and the market appraisal is one of the first tasks to get done. You’re wondering “what will we get for our old place anyway?” And then that will beg your next question: how do we increase the selling price of the home? A Beautiful Home with incredible character, but was once a condemned property. The best house in the neighborhood by far, but will it be appraised as such? Welcome, and I hope you’ll surf around and learn all about choosing a great real estate agent and getting the best results, in terms of price, professionalism, and moving onto the next phase of your life. The essence of real estate is feeling good and finding the very best lifestyle for you. Having a home appraised well is key to establishing the right selling price. And it’s the funds you’ll be starting with on this next exciting phase of your life. Were you aware that you can actually get a free home market evaluation online? See the one below from Zillow. Or, you can do a Google search for [Realtor + market evaluation] and find a realtor who is interested in providing that service for you. What’s so nice about about using Google to explore real estate topics, such as finding reputable realtors who are motivated and fun to work with, is that this is part of your journey. Google is making it easier, giving you endless education and insight into the real estate world. If a Realtor ranks at the top of the results, it’s a good sign they want to work with you. It’s not easy to appear at the top of Google search results so you know they’re confident, put the hard work into it, and want to be successful. That desire for success is a good sign, not a sign of greed. And you should get the best price. 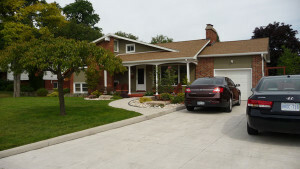 That home and property represent a lot of daily toil on your part for year on end. Never forget that. Don’t give away value you created. You worked hard for years to make your mortgage payments and it is your investment. Don’t let anyone tell you otherwise. If you want to sell it for maximum price, you’ll want to use a realtor who has a habit of selling homes for over asking price. In today’s market, you’ll probably get it. Thinking about Selling your California home and hiring a California Real estate agent in 2017? Check out the real estate predictions for the US, and forecasts for apartment rentals and home construction in San Francisco, San Diego housing outlook and predictions for home sales in Los Angeles. You’ll need a realtor and perhaps a renovation/designer to determine what could be fixed up to create an even better price and be sure to get it sold fast. The speed of the sale might save you some misery. Once you get a ball park figure or Zestimate®, you’ve got a good number to work with. Realtors criticize Zillow mostly because they’re such an aggressive competitor online. Their Zestimate® tool is a little off the mark, sometimes low by $20,000 or more. 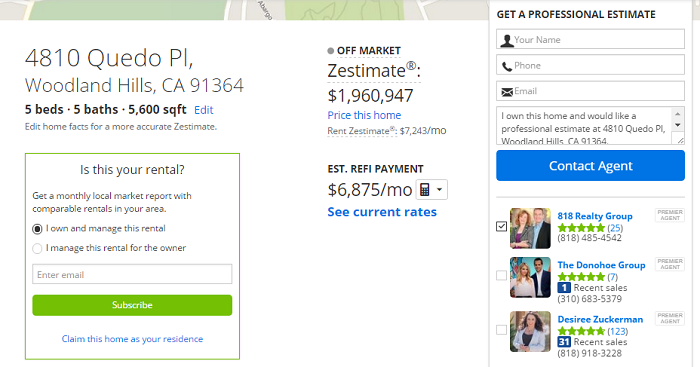 Yet as Zillow collects more information on homes across the US and Canada, they’ll become more accurate. But this number is just a number to rally on. You can raise the value of your home with your realtor’s advice and help. Appraisals are often based on comparables which could be the wrong comps, so you may want to go out and carefully find your own comparables to show the buyers the real value. How do I Raise the Value of my Property? Now you’ve got your base price often based on comparables in your neighborhood. What can you upgrade that’s worth doing? Homeowners tend to be way too passive about fixing the place up, as doing so could raise the selling price considerably, especially if your realtor manages to bring in a boatload of buyers who might compete for it. It’s the simple pleasure/pain response. It may be very effective to get rid of everything that could offend or turn off the buyer, such as dirty toilets, broken light switches, dirty stained carpet, or some of your old nostalgic art items. A Los Angeles Real Estate agent gives some insight into appraisers and how appraisals will affect what buyers might be willing or able to offer for your home. Fix/Renovate the Bathroom – Home buyers want all memories and evidence that you lived there gone. The bathroom is a sensitive topic and they likely want the fixtures like the toilet, basin, shower replaced. Freshening it up with new fixtures tells them it is clean and ready to be used. Fix the Roof – If there’s any signs the roof has had it, they will not even give you a bid. Here’s an opportunity to get rid of the old shingles and put in new solar shingles to create added value for them. Free hydro could be very excited for them. Open Concept Kitchen – Just knocking down the walls could open up the buyer’s mind to the warmth of your kitchen. Most buyers insist on a kitchen/living room connection so try to make that happen. Don’t buy new appliances, just look for some cheap used ones that still look good. Replace the obvious stuff that hints of poor hygiene such as grimy looking countertops, worn kitchen sinks and faucets. Get Rid of the Old and Broken – Old just means old style, and items that have no relevance to the life they’re going to live. Although you love your statue, antique furniture, or old small deck, they might really turn your buyer off. Broken things could get your appraisal reduced by $500. Just one broken faucet or wall socket that doesn’t work could cost you $5k in appraised price because appraisers work in $500 increments. Improve Exterior Features – Put in some exterior lighting, LED, for security reasons and for aesthetics. The lights warm things up and create an evening presence that would otherwise be cloaked in dreary, scary blackness. Try some New Window Shades – These are an inexpensive upgrade that can pick the windows up and help block bright sunlight and give privacy. These buyers don’t know the neighbors yet. Remove Dirty Carpets – replace them with the new cheap linoleum based engineered flooring. It looks like wood, feels like wood and it’s easy to keep clean. Make cleanliness a theme if it suits your ideal selling strategy. Improve whatever the Realtor tells is wrong with most of the houses in your Neighborhood – If your house is the only one that doesn’t have the common problem, it will give them an emotional lift. Make sure your top home Feature really Stands Out – there’s no point in going half way with the best thing about your home. If it’s got a rooftop deck for instance, make sure it looks like something they will be compelled to use. A rooftop deck or pool or large ensuite bathroom that they won’t use much is actually a waste. Everything being sold has a top benefit, so ensure this is 100% fantastic. Have the Home Staged – having the right style, furnishings, and dressings for the intended buyer is important. Sorry, your style of furnishings only reduces the value. Appearance is so important, from the condition of the lawn to the art on the walls. Let the realtor’s home stager make the place look immaculate. Then comes the issue of how to choose the right realtor. There are almost 2 million real estate sales people to select from. A good realtor will be very optimistic, encouraging, and imaginative about how to help you get the best home selling price. That’s perhaps the most important criteria you should consider. Please don’t treat this like it’s just another transaction, and that you’ll take whatever you can. Your realtor will be making a good commission on the sale. You can expect them to come up with a brilliant online marketing strategy to capture more and better prospective buyers for your home sale. 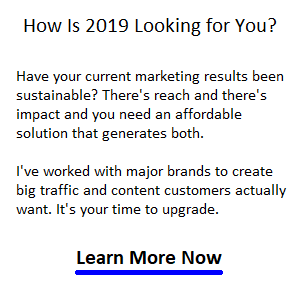 How does their online marketing presence look to you? Would you buy from them if you were about to buy? What about their website and the image they project? Does it seem to speak to you and put them in an exclusive class of quality realtors? Do they really look like they care? Is there much content on their website? Can you see anything about their character or personality? Of course, you can call a brokerage and take whoever is next on call, or you could interview whoever is willing to come to your home to be interviewed. Save some time and do a pre-screening of their website. Their website is a tell tale representation of their professionalism, skills, and commitment. It’s an interesting statistic that most sellers don’t use the same realtor to help them buy the next property, even though they’re buying in the same city. Your selling realtor will be helping other buyers on other deals so why not you? Either you believe in your realtor or you don’t. Choose a great realtor and use them for everything. ← Previous Post: What Should be the Core of Your Online Marketing?